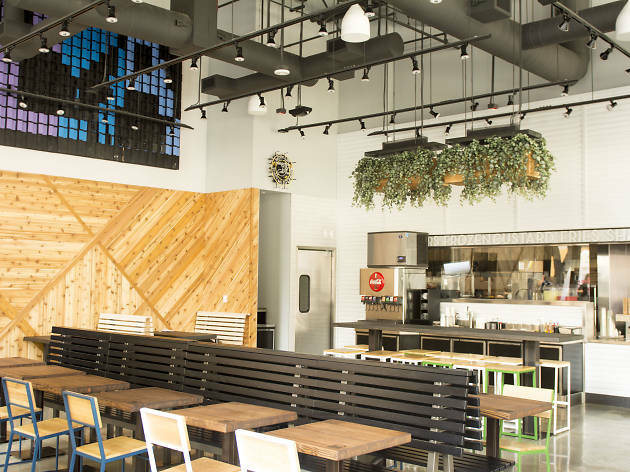 These cult-classic smashed burgers have hit the heart of Downtown, with hot dogs, chicken sandwiches, veggie options, beer, wine, fries and frozen custard in tow. 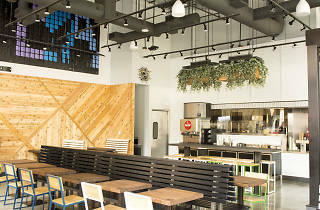 This location is all decked out in hanging plants, lots of natural light, art by Thomas Dambo (which previously decorated the West Hollywood location), and tabletops made from reclaimed bowling alley lanes. Stop by for the cheesy fries and potato-bunned-patties, stay for the unique flavors of "concretes," or shakes.